The auction halls are on the sixth floor. We would like to invite you to attend our auctions in person and enjoy the spectacular view and see Hamburg at its best. 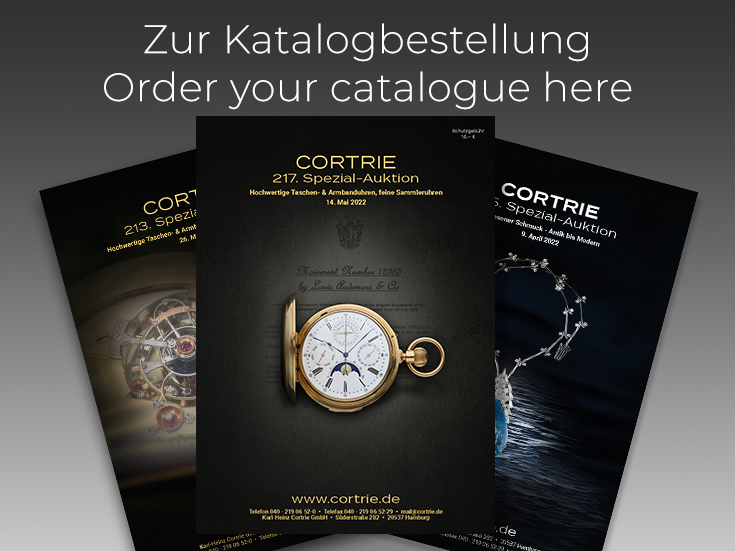 Cortrie Special Auctions is one of the leading auctions houses dealing with fine watches and jewellery from Germany and Europe. Our high quality catalogues reflect our distinguished standard and are valued among experts as reference works and as price leaders.